This article is about the character. 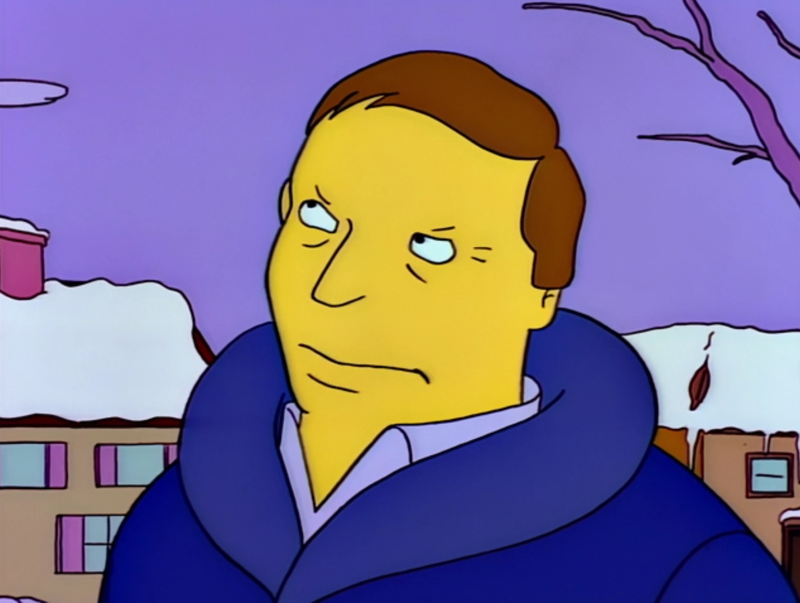 For the guest star, see Adam West. Adam West is an American actor best known for playing Batman. Homer helped him after he started his own snow plowing business. West later gave the job to Barney after he became better than Homer was in the plowing business. He was also seen by Bart and Milhouse whilst they were watching an episode of the 1960s TV Show Batman with Krusty in it. West played the role of Batman in the TV series and the two boys later copied one of the stunts they saw on the programme. 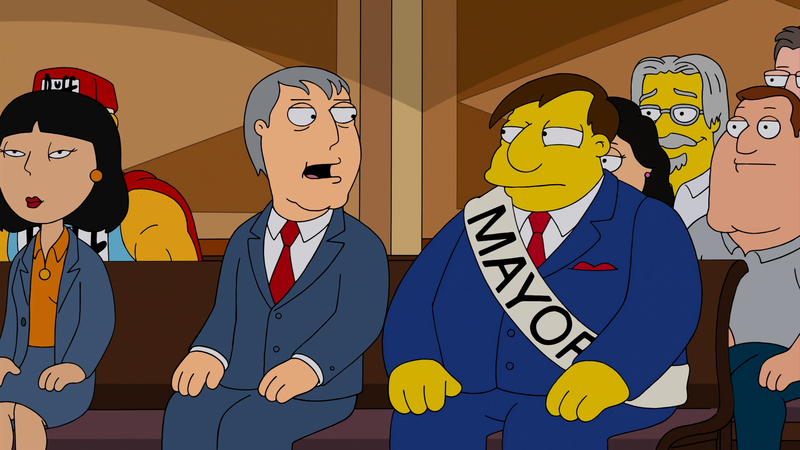 Mayor Adam West from Quahog was in the Springfield Court House along with Mayor Quimby. He asked Quimby if he was a cool mayor, whilst making a hand gesture to suggest smoking. Mayor Quimby says yes and they both leave the court room. When Monty Burns and Smitherina told Homer and Margemary that they worship Satan Homer said to Burns that he is like the Adam West of Satanism. Modified on February 7, 2019, at 20:04.